Tile Giant is the UK’s fastest growing tile specialist, started in 2003 to provide products that lead the way in trends and the latest materials, sourced in an ethical and sustainable way. High quality tiles are sourced from all over the world, meaning that they are often one of the first to bring new ranges to market, such as the In-to-Out tiles that allow homeowners to create an extended living space from the lounge to the garden, all with the same tiles; the wood-effect ceramic range, that provides an authentic real wood look, without the problems of wear and tear; and new large-format tiles inspired by continental living. 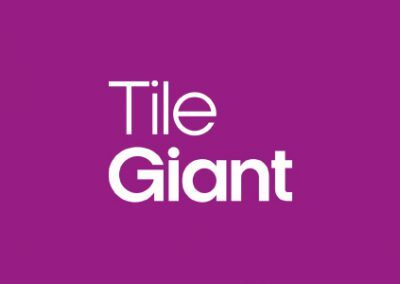 In 2015, Tile Giant launched a market leading online visualisation tool, iDesign, enabling customers to create a unique look for their home improvement project with hundreds of tiles to select from and also helping them to shop with confidence by seeing their ‘dream’ design before they buy. 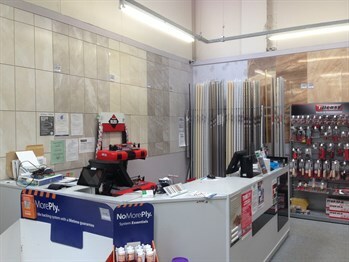 Tile Giant was acquired by Travis Perkins Group in 2007, and now has more than 100 specialist stores, with its ranges also sold through more than 200 outlets in Travis Perkins, Benchmarx and City Plumbing Suppliers branches. The CSY Vector EPOS system was the company’s first major investment and was purchased with the growth of the company in mind. The helpful and knowledge team at CSY has meant that Tile Giant’s growth from four to eighty stores in a five year period has been a smooth one. The equipment is very user-friendly and Tile Giant have a reliable system that can be trusted to provide up-to-date information. The relationship between Tile Giant and CSY has developed by both parties being committed to forward thinking and working together to capitalise on opportunities. Since day one, Tile Giant have taken advantage of the detailed stock and audit functions within the system so live, accurate data is used to assist key buying and distribution decisions. This has helped ease cash through periods of growth and continues to do so. Tile Giant also use the account customer facilities to manage our trade and staff purchases. Tile Giant recognise that the CSY training facilities available both on and off site have proved to be an invaluable asset in making sure the staff get the best out of the system. The up-to-date information provided by the system has transformed our methods of protecting margin within the business. We are able to track individual stock movements remotely and therefore sustain a healthy margin by doing so. The reporting facilities in the management system are easy to use and include a number of bespoke Tile Giant specific reports that CSY developed for us. Vector allows us to control our stock efficiently, reliably and accurately. We have over three thousand stock lines and our catalogue of products is easily maintained and managed within the system. The integrated warehouse system has directly reduced the amount of labour required in this area and we have seen a dramatic cost saving from the offset.